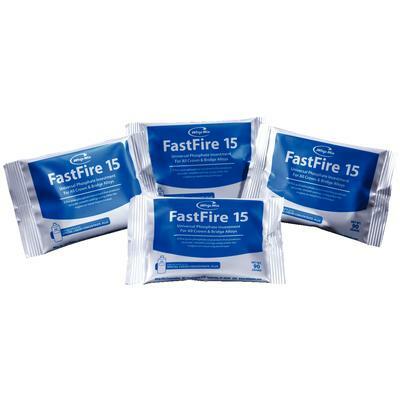 FastFire 15 is a fine grain phosphate investment that requires only a 15-minute benchset before placing molds into a hot oven for rapid burnout. It produces accurate, smooth castings using either the ringless or metal ring technique. Optimum fit is achieved for all crown and bridge alloys through dilution of the freeze-stable FastFire liquid.